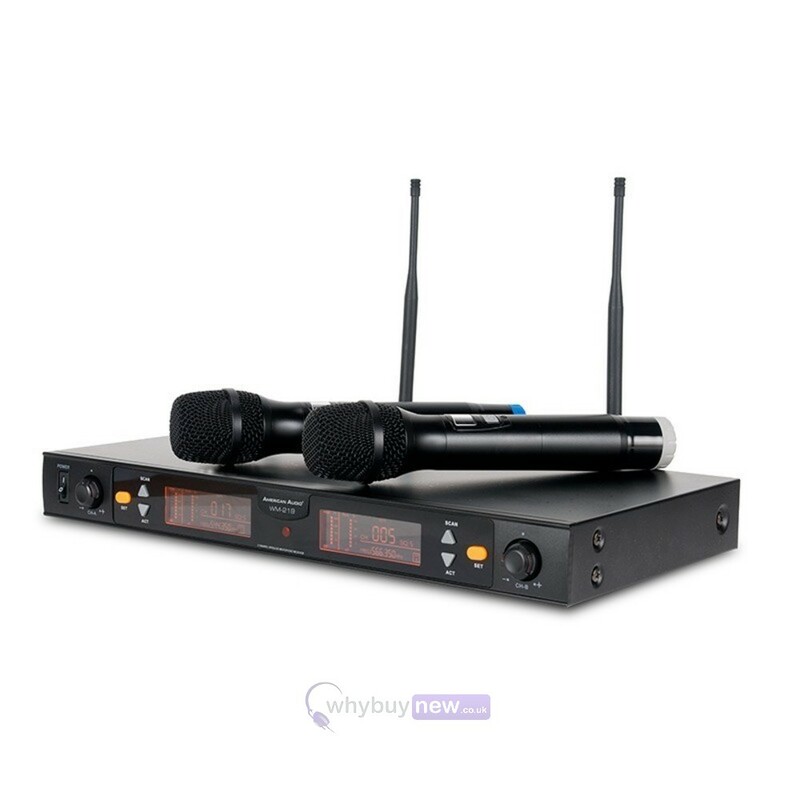 The American Audio WM-219 is a perfect solution for anyone hosting karaoke, planning wedding speeches, hosting a live show or doing anything where you need to make your voice heard. This dual wireless microphone set boasts an impressive range of 300 feet and a battery life of 6-10 hours, meaning that you won't have to stop and recharge half way through a performance, plus with it's individual volume control and dual outputs for separate signals the user has total control over when and how loudly their voice can be heard. 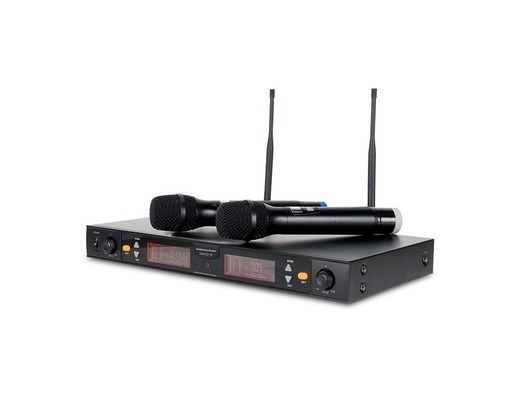 The American Audio WM-219 is a 2-channel UHF wireless microphone system that includes two wireless microphones, two different colour coded rings (to differentiate each microphone) and a wireless receiver with individual volume control and audio input for each microphone.